About CTE Teleco | CTE Teleco, Corbell Telephone & Electronics, Inc.
CTE Teleco takes seriously the adage that people don't buy from companies, they buy from people. Not only does this philosophy lie in Teleco's strategy, but it is manifested into our long-term alliance with customers. CTE Teleco has an unmatched relationship as a dealer and is rapidly becoming a part of the largest group of independent communication companies in the country. Teleco Inc. is our national coporate partner and products supplier for most products shown on our website. They are the nation's largest Toshiba vendor. Like Teleco, CTE Teleco is committed to providing a comprehensive range of telecommunication products through a strong nationwide and global network of independent partners. We will provide those partners with a level of service, training, and quality they cannot find elsewhere as well as empower them to deliver these qualities unto their customers. We also maintain strong OEM relationships with organizations that have a similar vision toward global presence in the telecommunications marketplace. Teleco twice named by the U.S. as one of the top 500 fastest growing businesses in the nation. Teleco named Number 1 on the Top 100 Interconnects list four years in a row. CTE Teleco's go-forward strategy is to identify and establish partnerships to bring outstanding products to the marketplace. Teleco continues to have success with strategic partners in both a developmental and marketing relationship. Our unmatched level of quality and customer service has allowed us to privately label our voice processing products to telephone switch manufacturers and virtually guarantee their success. As one of the oldest successful partners in Southern Illinois and Western Kentucky, CTE Teleco continues to provide the latest, state-of-the-art telecommunications products and services. Since 1964, we have been the innovative electronics systems dealer. 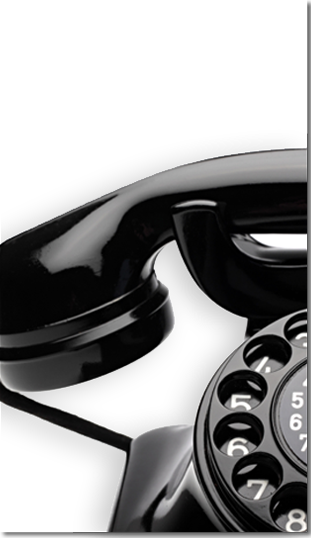 Since 1974, we have been providing telecommunication services and solutions to our customers in the Southern Illinois and Western Kentucky area. Please contact us and discover how we can help your company improve your communication needs.